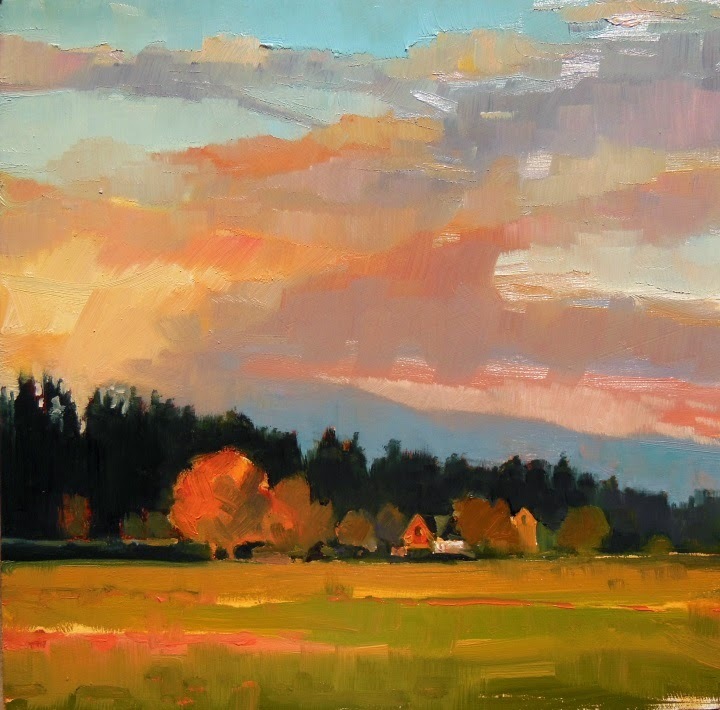 This one started out as a plein air painting but I didn't get very far along before the cold and the changing light drove me back to my warm van. Back in the climate controlled studio I added the figure from a photo taken on location. 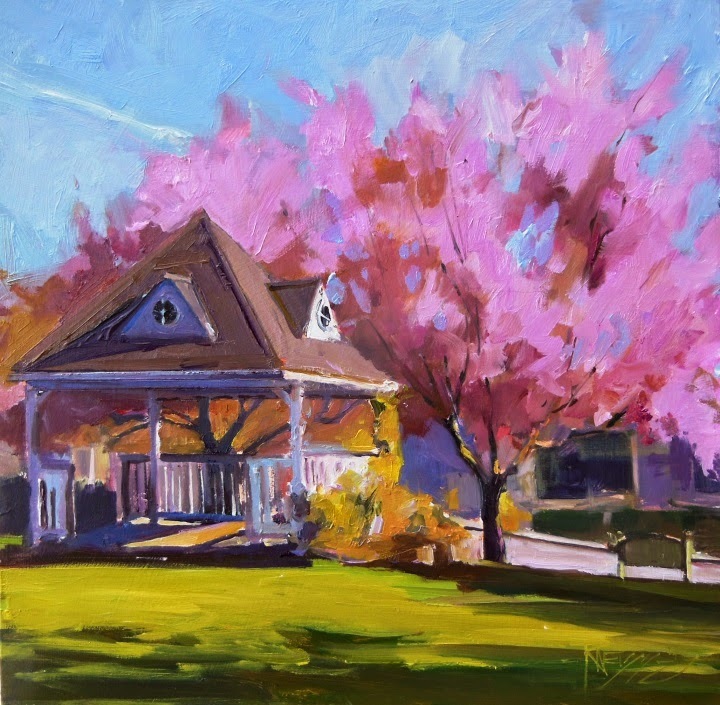 These beautiful spring days with the flowering trees arrayed in vibrant color are indeed one of God's best blessings! Happy Easter! 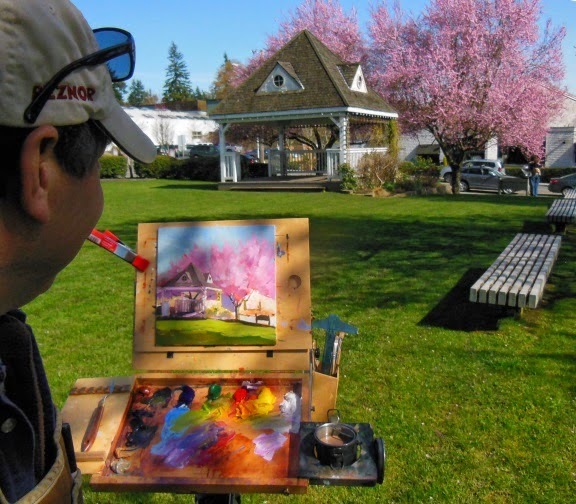 I went back to Bainbridge Island to paint the spring, flowering trees during the Bakers show. I punched the color up a bit to emphasize the vibrancy of the day. 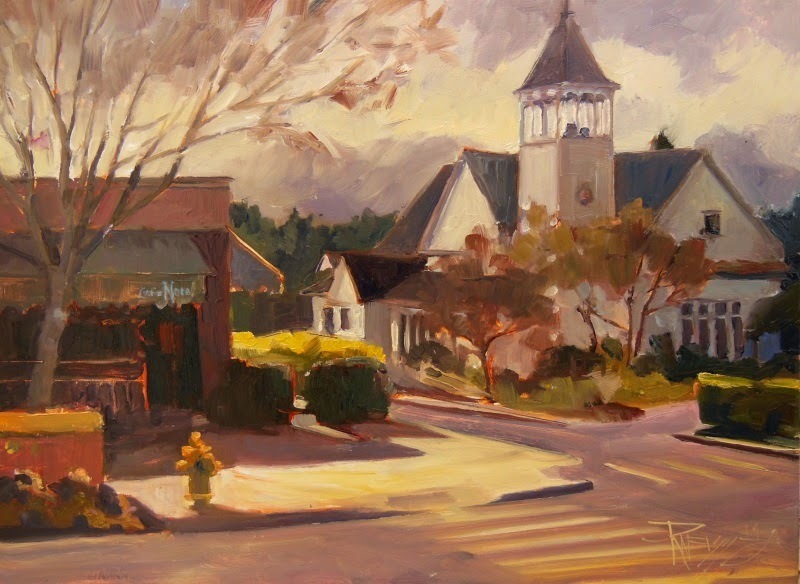 Right across the street from this church is Bainbridge Bakers where I had a show of my recent paintings. the show is over now but you can still see a lot of the painting(except the ones that sold) at The Harbor Steps Gallery in Seattle for the month of April. 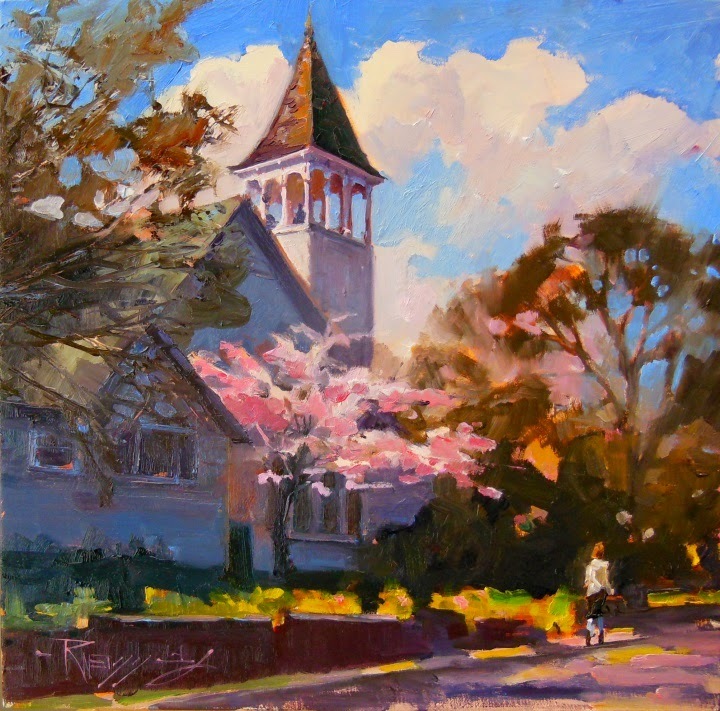 In between painting trips I have been showing work in my local area. 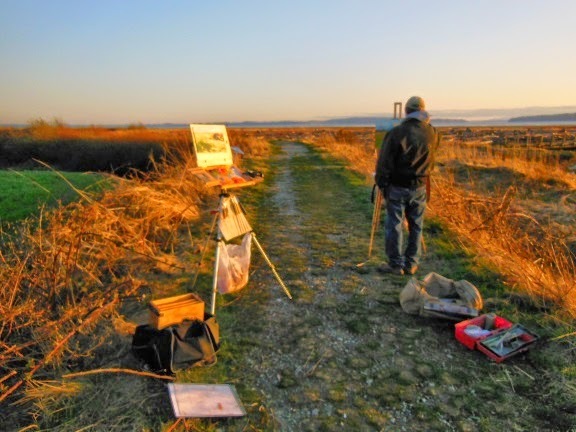 I have found that is always helpful to go out and paint in the community to help promote the show. 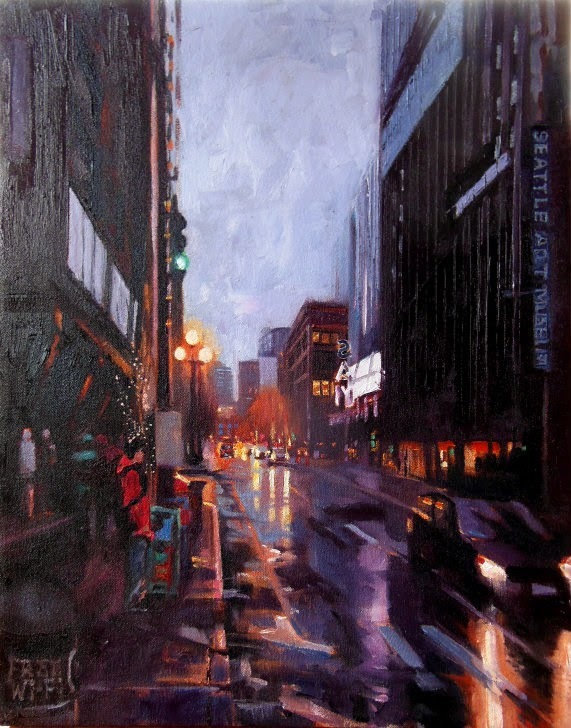 The day was Northwest cloudy/rainy but I still had a great time meeting folks and painting! At this time of the evening the light is moving very fast! When I turned around and saw this tree seemingly on fire by the setting sun, there was only enough time to shoot a quick photo and it was gone. I painted this in the studio with my vivid recollection of that moment and the pic. I've been to this spot before, late in the afternoon. It never fails to inspire. 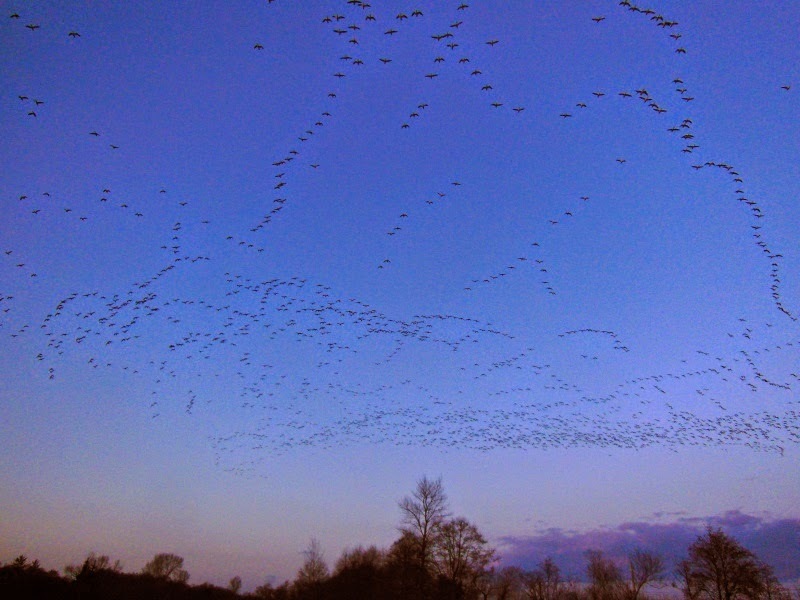 Take a left right after the Snow Goose Produce stand on the way to LaConner and drive to the end of the road. We woke up to grey skies and threatening rain on the second day of the Laconner painting trip. 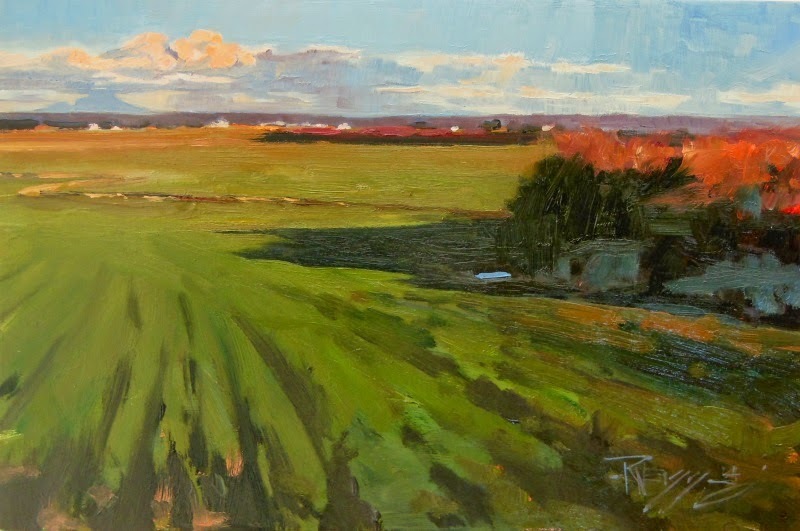 I managed to get one more plein air painting done and then did some scouting and visiting. 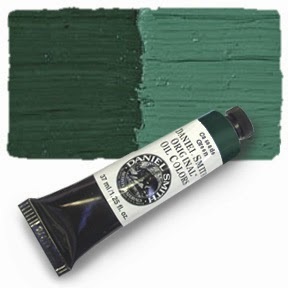 I added a new color made by Daniel Smith to my palette called Cascade Green. 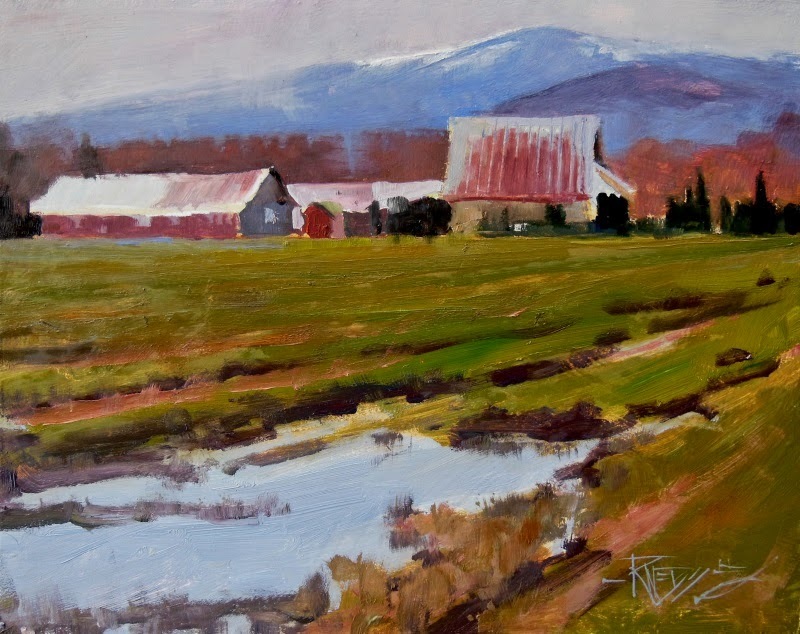 It helped me in this painting to more quickly mix the hue of green I was looking for in this cool valued rainy day scene.